In just about every industry and across almost every facet of life, there is strength in numbers, power in partnerships, and there is evidence that two heads are better than one. In marketing specifically, bringing together two separate, local business professionals to create a joint marketing initiative – known as cross marketing, or cross promotion – can be a hugely lucrative endeavor for both parties. In this webinar, “Leveraging Partnerships to Grow Your Business,” we discuss how marketing with another lawyer, financial planner, accountant or realtor can have a positive impact on your legal firm’s lead generation. 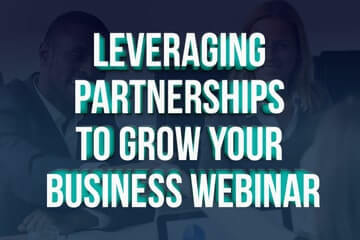 Upon form submission, the Leveraging Partnerships to Grow Your Business webinar will be delivered to your inbox.